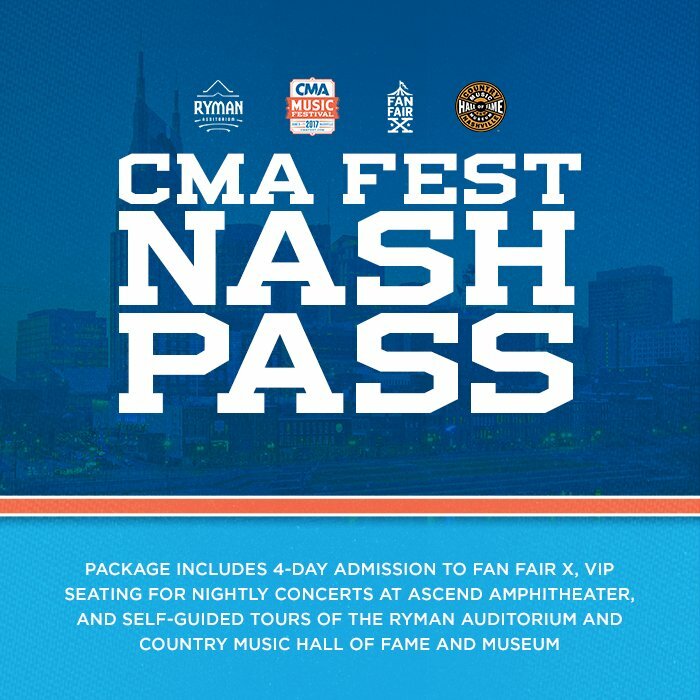 CMA Fest Nash Pass...Latest Info! This new CMA Fest combination ticket remains shrouded in mystery, but we will do our best to explain what it is below. Please keep in mind that much of the information that is being discussed is speculative and may not hold true! 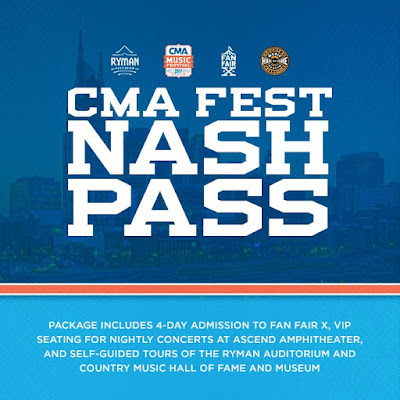 The CMA Fest Nash Pass is being sold and distributed by the Opry Entertainment Group not the CMA. The nightly concerts at Ascend Amphitheater are being booked and produced by by the Opry Entertainment Group not the CMA. VIP Seating at the nightly concerts at Ascend Amphitheater is believed to be the existing permanent seating rather than lawn seating. VIP seating at the nightly concerts at Ascend Amphitheater IS NOT included in the 4-day CMA Fest Pass (Stadium Show Pass). It is unclear if there will be a charge for general admission to the nightly concerts at Ascend Amphitheater. General admission may be free. It is unclear if the CMA will use Ascend Amphitheater for day time concerts as it did last year. Lineups for the nightly concerts are to be announced in May.